Accreditation for Cardiovascular Excellence (ACE) has awarded its first congenital heart disease (CHD) accreditation to Advocate Children’s Hospital in Oak Lawn, IL. In achieving accreditation for the treatment of CHD in the pediatric and congenital cardiac catheterization laboratory (PCCL) setting, Advocate Children’s Hospital has demonstrated that the hospital meets the highest standards of care in pediatric and congenital cardiac care. As the global leader in catheter-based cardiovascular accreditation, ACE has the highest level of accreditation experience, a comprehensive database of more than 6,000 case reviews, and the depth and breadth of cardiovascular expertise to help hospitals maintain the highest standards of quality care, as recommended by professional literature and nationally accepted practice guidelines. CHD accreditation validates that patient outcomes at Advocate Children’s Hospital meet or exceed those of comparable facilities in the ACE family of accredited facilities. As part of Advocate Health Care, Advocate Children’s Hospital is the largest network provider of pediatric services in Illinois and among the top 10 in the nation. 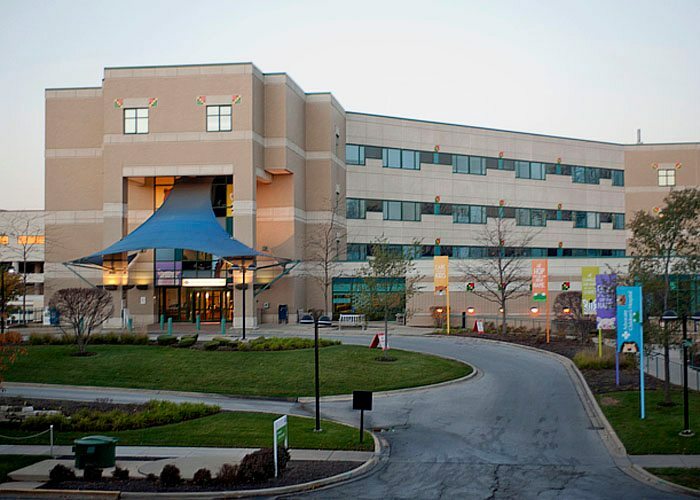 The two main campuses are located in the Chicago metropolitan region – Oak Lawn in the southwest and Park Ridge in the northwest, with additional services accessible at other Advocate hospitals throughout the state. Designated as a Pediatric Critical Care Center, Advocate Children’s Hospital offers the highest level of pediatric critical care and emergency care services, and serves as a major referral center for infants and children. Through a special, holistic approach, Advocate Children’s Hospital combines some of the country’s most respected medical talent with exceptional and compassionate care. In fact, Advocate Children’s Hospital has been recognized by U.S. News & World Report as one of the nation’s leaders in pediatric cardiology, and numerous physicians at the facility have been cited as being among the “Top Doctors” regionally and nationally in their respective fields. ACE is the leader in and the only provider of accreditation for all catheter-based cardiovascular procedures. We have unique and proven experience in accrediting large hospital systems and peer-reviewed data on improving outcomes in cardiac catheterization laboratories. Accreditation is our business; we are an independent organization sponsored by the Society for Cardiovascular Angiography and Interventions (SCAI). ACE quality review and accreditation services play a critical role in continuous quality improvement programs, structured reporting and documentation. Join us. Learn more at http://www.cvexcel.org.